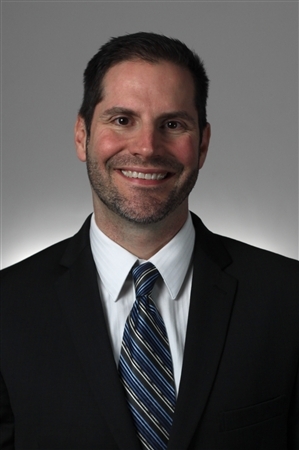 INDIANAPOLIS (September 25, 2015) — Klipsch, a leading global speaker and headphone manufacturer, today announces the promotion of Rob Standley to Vice President and General Manager of Professional and Component Audio Solutions. Standley, who previously served as regional vice president of commercial sales, assumes the role following a career in sales and general management that includes three years with the company. Standley will lead the newly formed Professional and Component Audio Solution division, which includes cinema, commercial and home audio component speakers. He is immediately focused on channel management strategy, sales, product development and marketing of this business unit. “Rob brings over 24 years of consumer electronics sales and management experience to our senior leadership team. His in-depth knowledge of both the challenges and opportunities facing our company and industry will serve the markets well as he leads our strategic solution efforts across all platforms”, said Paul Jacobs, President and CEO of Klipsch Group. Since joining Klipsch in 2012, Standley has successfully led the sales, product development and marketing initiatives of our cinema and commercial speaker business on a global basis. Previously, Standley served in executive and management level positions at Vann’s Inc. as the COO and Director of Sales and Marketing. He was also responsible for Vann’s custom integration team. “Our industry has seen significant transformative changes in source components and the way our entertainment content is delivered. What hasn’t changed is the impact quality loudspeakers have on the overall entertainment experience. I am excited to lead this new division in the pursuit of Klipsch speaker solutions that deliver the power, detail and emotion of the live music experience, regardless of the venue,” says Standley.